Download "In this O-1 Special Report you will learn the answer to critical questions: 5. 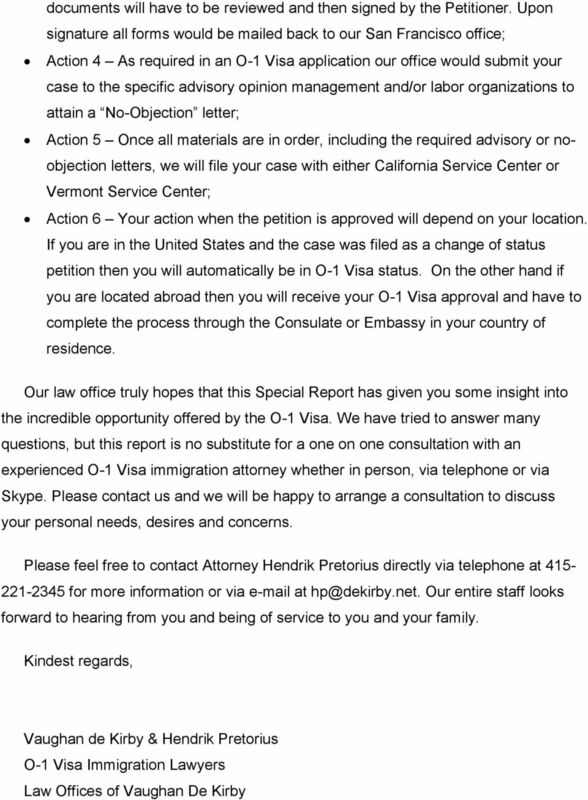 Can I act as both the Petitioner and Beneficiary of my Visa?" 2 Thank you for ordering this O-1 Visa Special Report. This Special Report will expose you to the incredible possibilities available through the O-1 Visa. 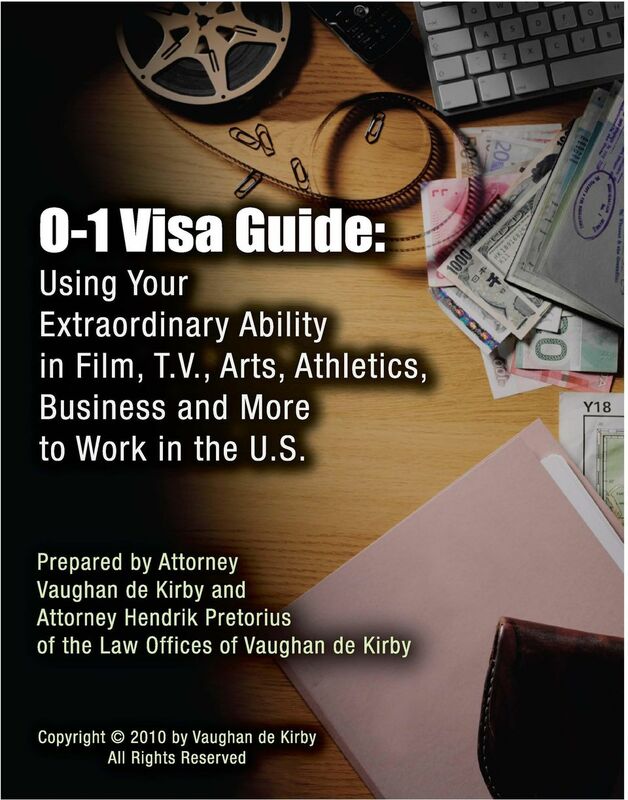 Extraordinary achievement in several fields of endeavor, including the arts, film, television, sports, and business among others, is recognized by the immigration service through the O-1 Visa. This Visa allows a Beneficiary to enter and participate in individual projects and events or alternatively engage in part-time or full-time employment. This visa would also allow any immediate family members (spouses and unmarried children under 21 years of age) to enter the U.S. to live along with you. Often times the O-1 Visa is used as a step towards later applying for a Green Card for a Beneficiary and his/her family based on the same extraordinary ability that is used to apply for the O-1 Visa. If it is your desire to enter the U.S. to participate in upcoming work opportunities in the U.S., and additionally put yourself on the road towards a potential Green Card, the O-1 Visa may offer you the answer. In this O-1 Special Report you will learn the answer to critical questions: 1. Are there Different Types of O Visas? 2. 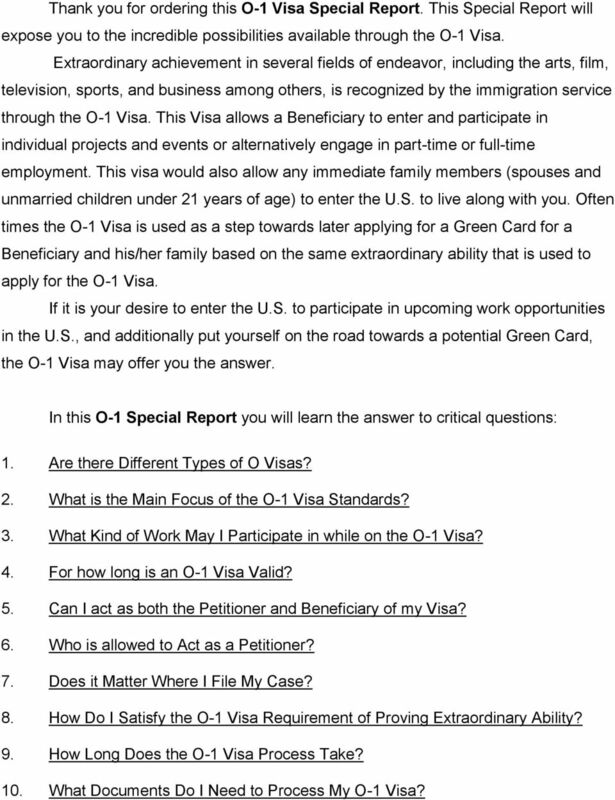 What is the Main Focus of the O-1 Visa Standards? 3. 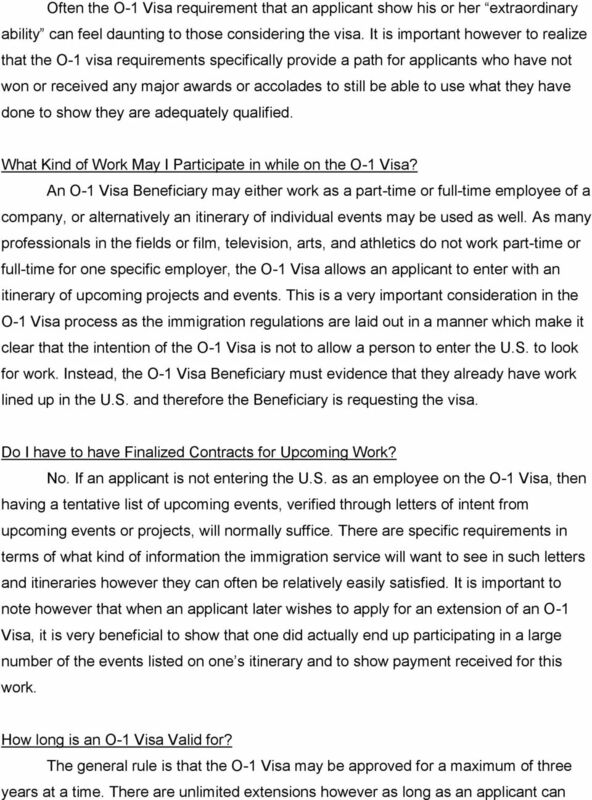 What Kind of Work May I Participate in while on the O-1 Visa? 4. For how long is an O-1 Visa Valid? 5. Can I act as both the Petitioner and Beneficiary of my Visa? 6. Who is allowed to Act as a Petitioner? 7. Does it Matter Where I File My Case? 8. 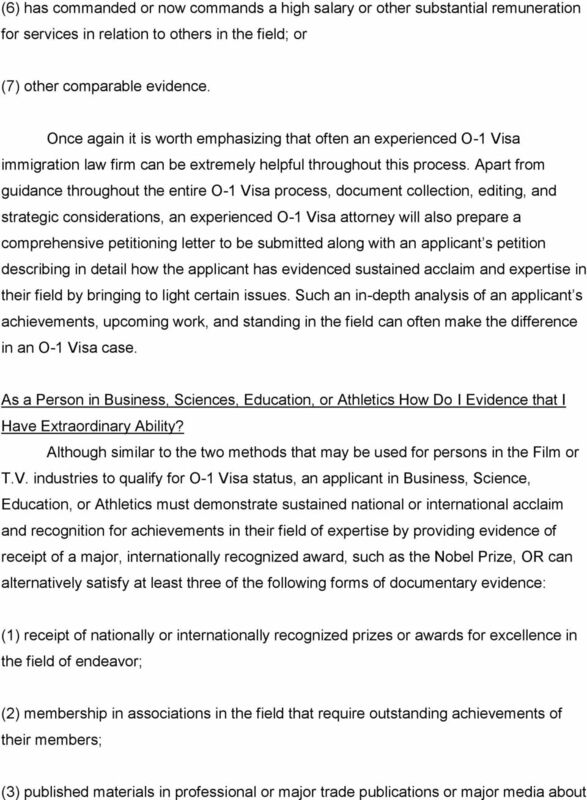 How Do I Satisfy the O-1 Visa Requirement of Proving Extraordinary Ability? 9. How Long Does the O-1 Visa Process Take? 10. 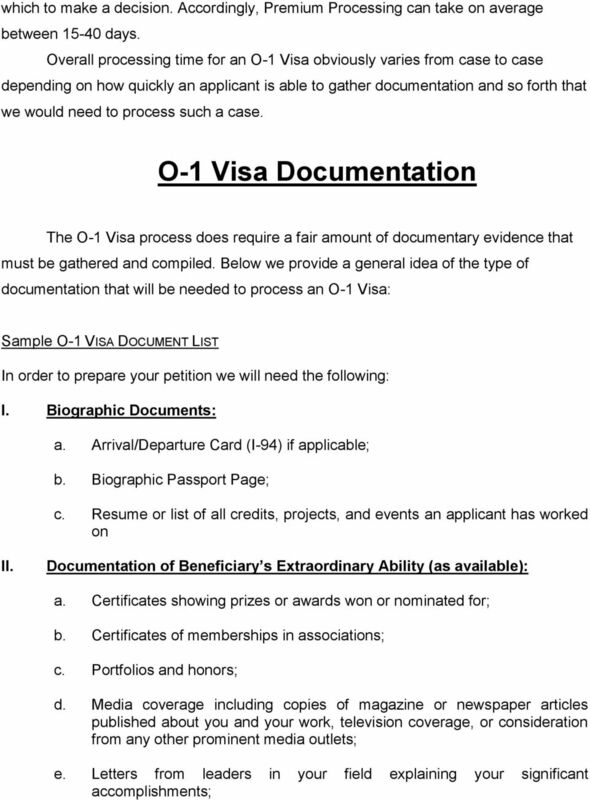 What Documents Do I Need to Process My O-1 Visa? 3 UNDERSTANDING THE O-1 Visa To understand the O-1 Visa, it is important to realize that it is considered a nonimmigrant visa. This means that it is not designed to directly provide the person holding the O-1 with permanent residency in the United States. 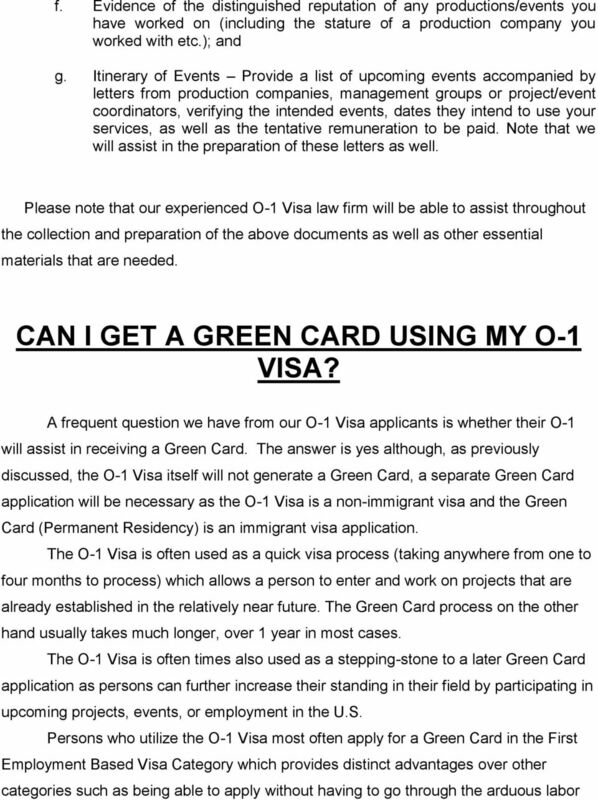 However, as previously mentioned, many persons who may not yet have reached the level of acclaim necessary to obtain a Green Card immediately use the O-1 Visa to be able to engage in work in the U.S., gain additional experience, and then later apply for a Green Card. Of course this visa may be and is also often used by persons who have no intention of later applying for a Green Card but who merely need a valid working visa to be able to enter the U.S. and partake in productions, events, employment, or other itineraries. 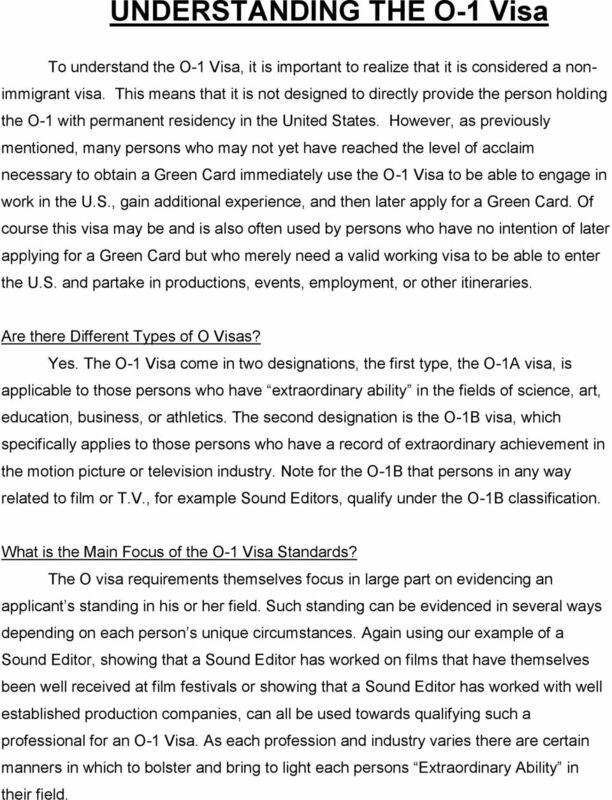 Are there Different Types of O Visas? Yes. The O-1 Visa come in two designations, the first type, the O-1A visa, is applicable to those persons who have extraordinary ability in the fields of science, art, education, business, or athletics. 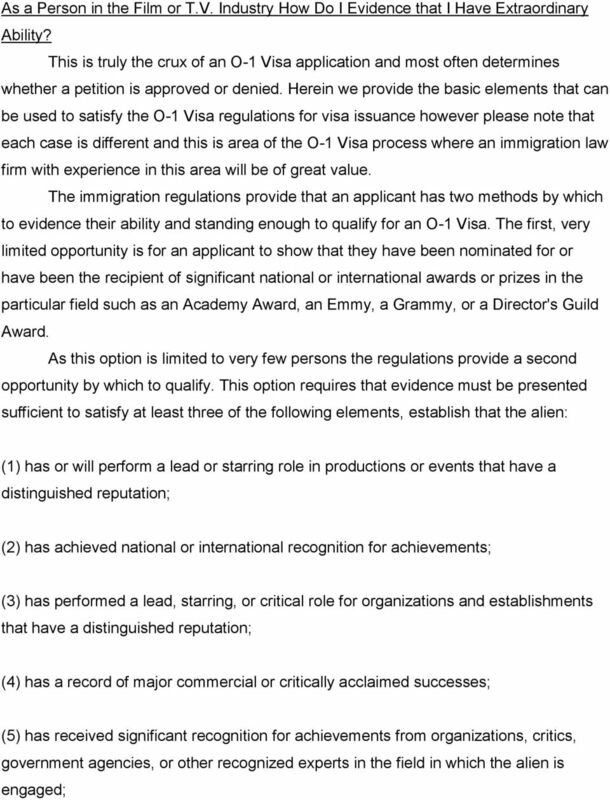 The second designation is the O-1B visa, which specifically applies to those persons who have a record of extraordinary achievement in the motion picture or television industry. Note for the O-1B that persons in any way related to film or T.V., for example Sound Editors, qualify under the O-1B classification. What is the Main Focus of the O-1 Visa Standards? 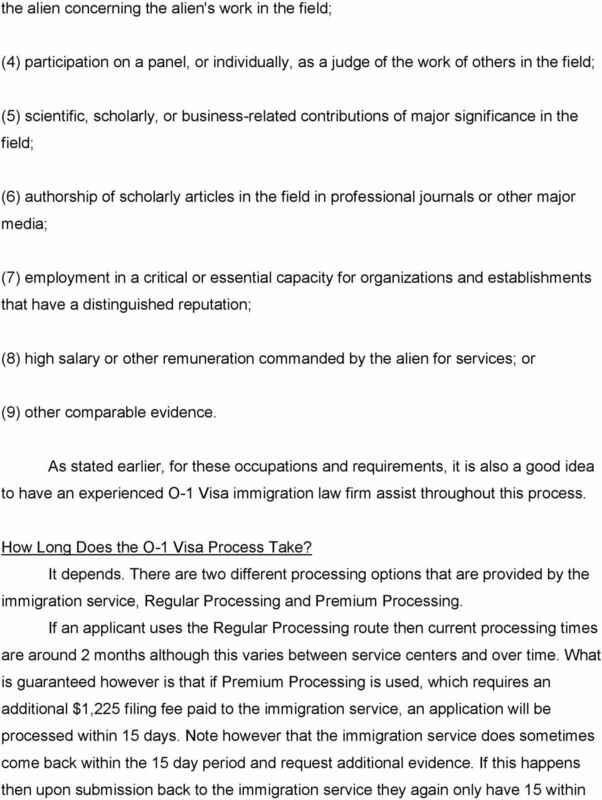 The O visa requirements themselves focus in large part on evidencing an applicant s standing in his or her field. Such standing can be evidenced in several ways depending on each person s unique circumstances. Again using our example of a Sound Editor, showing that a Sound Editor has worked on films that have themselves been well received at film festivals or showing that a Sound Editor has worked with well established production companies, can all be used towards qualifying such a professional for an O-1 Visa. As each profession and industry varies there are certain manners in which to bolster and bring to light each persons Extraordinary Ability in their field. 5 evidence additional upcoming events or employment at the time of filing such an extension. 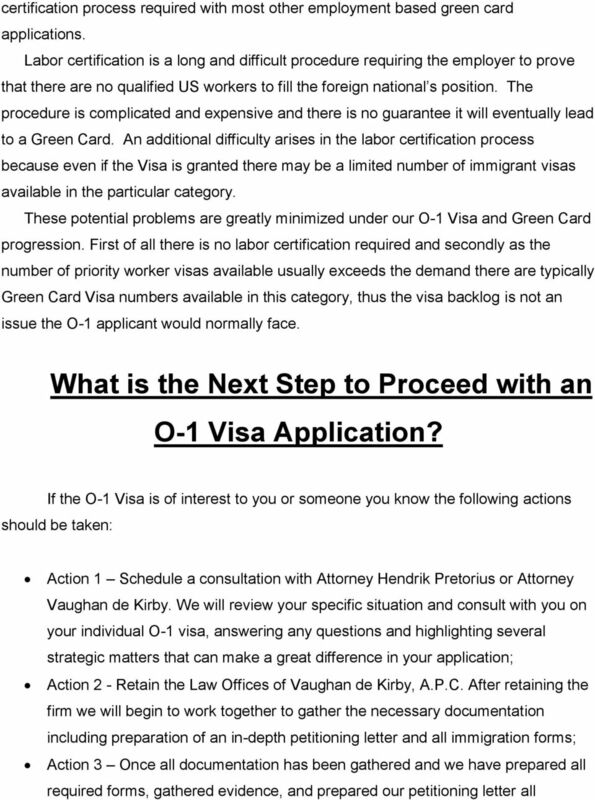 Note however that an O-1 Visa is not always approved for three years at a time. Often, if an applicant only evidences that they have one very short upcoming event that they wish to participate in then the immigration service will only approve the O-1 Visa to cover this time period. Can I act as both the Petitioner and Beneficiary of my Visa? The Beneficiary of an O-1 Visa is the person who will be entering the U.S. and benefiting from the O-1 Visa status by being able to work whether as an employee or independent contractor completing their itinerary of events. The Petitioner is the company or person who actually files the petition on the Beneficiary s behalf. The Beneficiary and the Petitioner are NOT allowed to be the same person. Who is allowed to Act as a Petitioner? The Petitioner on an O-1 Visa application can either be a company or an individual U.S. Citizen or Legal Permanent Resident. There are various issues to be detailed and discussed regarding this requirement with each individual person as circumstances may dictate the best strategic option to pursue. The Petitioner however does not have to be a company who is offering work to the Beneficiary if the Beneficiary is entering the U.S. to participate on an upcoming itinerary of events. Where Do I File My Case and Does it Matter Which Service Center is Used? Yes, it often does matter for strategic reasons. O-1 Visas are processed at one of two USCIS Service Centers in the U.S., the California Service Center or the Vermont Service Center. 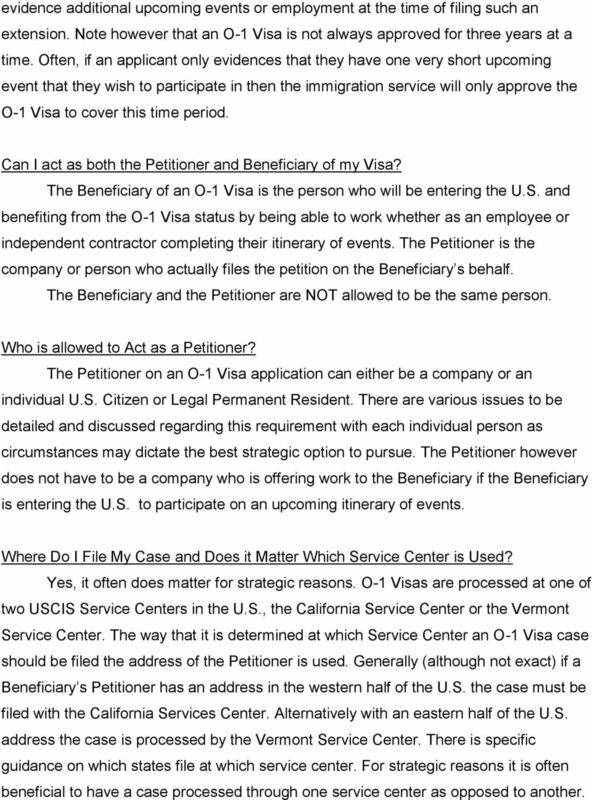 The way that it is determined at which Service Center an O-1 Visa case should be filed the address of the Petitioner is used. Generally (although not exact) if a Beneficiary s Petitioner has an address in the western half of the U.S. the case must be filed with the California Services Center. Alternatively with an eastern half of the U.S. address the case is processed by the Vermont Service Center. There is specific guidance on which states file at which service center. For strategic reasons it is often beneficial to have a case processed through one service center as opposed to another. Everyone in the United States who is not a U.S. citizen needs some kind of visa to be here legally. "I just need to get my Israeli employee working in the United States, as fast as possible! Which visa will work for us?"